We are seeking a Designer/Space-Planner to join our team of creative professionals in Naperville, IL. If you have previously managed your own successful design firm and are looking to join a team and receive marketing and production support, this may be the position for you! See below for more. . .
Because our team does what they do so well, we have been featured in numerous local and national publications, including the History Channel show, Modern Marvels. We have busy design centers in Maple Grove, Minnesota, Naperville, IL and Denver, Colorado. If you were to join our team, you would be working with our award-winning design and construction team creating spaces that become the most fun part of a home. 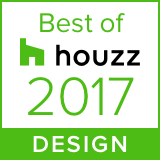 We have been awarded the prestigious national awards, including the coveted Chrysalis award, and local design and construction honors through NARI and home builders’ associations. While some clients like funky design, others prefer traditional spaces. Overall, it’s never the same and always a challenge to create the perfect space. . .a space that the client loves and a space that sells! Position Description: Our Designers are responsible for providing incredible customer service by working with our homeowners from the initial consultation through space planning and selections, and keeping periodic contact through the project’s construction. What Our Designers Do: Our Designers play the key role in the sale of our projects. They work in a team environment creating and designing award-winning basements. They creatively design projects under firm timelines in a highly collaborative team environment. As such, they integrate their designs across multiple departments including estimating and project management. Our Designers meet initially with a homeowner, create an as-built of the space, and thereafter run the future meetings with homeowners wherein they communicate the features and benefits of their designs. Our Designers meet with homeowners in the Finished Basement Company Showroom and in our homeowners’ homes. The Designer’s ultimate role is to sell their design to the clients within Finished Basement Company’s timelines. Prior to and after the sale, Designers work with production to ensure a buildable space. Which market are you applying in? Hit submit only once. It may take a few seconds to upload your resume. * The individual answering the main line has a role unrelated to this job posting and cannot assist you. While we appreciate “out-of-the-box” thinkers, we will contact you if we determine your background reflects a good fit for our company. Thank you for your consideration!